Pumpkin spice, it is a flavor synonymous with fall, Thanksgiving, and of course Starbucks. The re-introduction of the pumpkin spice latte is to some a quintessential fall tradition, and to others a blight upon the otherwise great season. This yearly controversy generally circles around one essential question: at what point is a flavor overdone? American obsession with all things pumpkin started in the late 90’s, but did not go into full bloom until the early 2000’s. Around 2003 the pumpkin spice latte came onto the scene at Starbucks around the country. 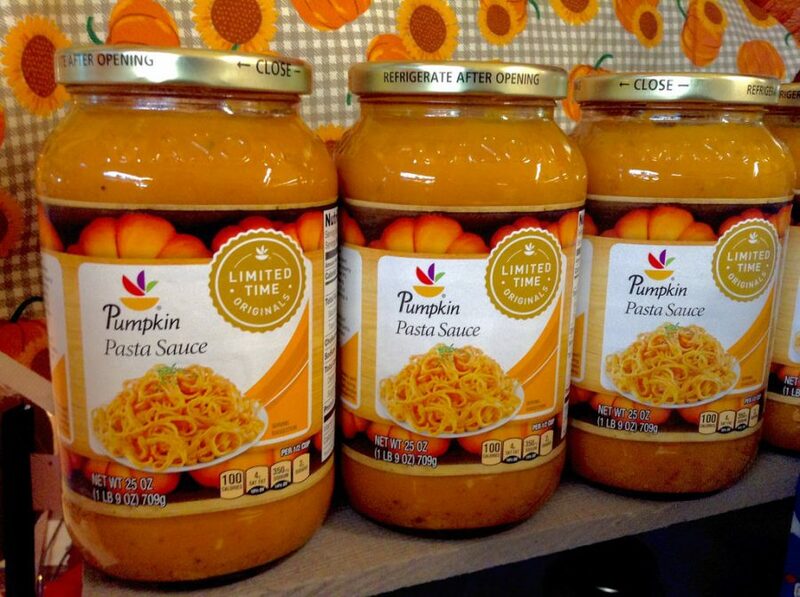 The idea behind it was that a limited time product would sell better, and other companies soon jumped on the pumpkin bandwagon. We now have a near infinity of pumpkin spice foods at our fingertips, from pumpkin spice cheerios to pumpkin spice protein powder (ugh). While I am not opposed to the idea of seasonal food flavors, I do like gingerbread flavored food around Christmas, pumpkin spice as a flavor is overdone to the extreme. We are so constantly inundated by the bright orange packaging and images of large squashes around this time of year that pumpkin spice becomes less of a seasonal treat and more of a seasonal annoyance. For one thing, the flavor known as pumpkin spice is mostly not pumpkin. It is made of cinnamon, clove, nutmeg, ginger and sometimes actual pumpkin. This seemingly ubiquitous flavor is lying to us about its most basic composition! Another problem I have with pumpkin spice is that there are foods with a pumpkin spice variation that most assuredly do not need it. Oreos for example. If I want an Oreo I want a chocolate vanilla cookie that could survive a nuclear fallout. I do not want a cookie that tastes like someone threw a spice rack into the dough and gave up. Also, apparently pumpkin spice butter is a thing, and so are the abominations known as pumpkin spice dog treats (who would do that to a dog). Literally nothing can escape the grasping tentacles of the pumpkin spice panic. Finally another issue I have with pumpkin spice foods is that, despite all the hype, not that many people actually enjoy them. According to a study of people who have bought pumpkin spice lattes performed by the NPD market research group, 72 percent of purchasers only buy one each season. They are hyped up due to their artificial scarcity, and people go along with the hype, but the majority of those who purchase one do not return for a second. That is because the flavor is not that revolutionary. It tastes alright, but is not enough of a divergence from existing flavors to deserve the hype it receives. I do not hate pumpkin spice flavored food, I just wish that a portion of the country did not go crazy over it every year. It is a middle of the road, lackluster flavor. While somewhat appealing for its limited seasonal novelty, is not deserving of the amount of attention and ad revenue this country pours into it.